Despite support from fellow directors and actors, one Chinese director's appeal for more screenings for Chinese art house films seems to have done little to change the harsh reality of imbalance in China's booming film market. As of May 7, the Hollywood car-racing blockbuster "Furious 7" has raked in 2.36 billion yuan (US$379.6 million) at Chinese box offices, the highest sales revenues ever, while the Chinese teen romances "The Left Ear" and "You Are My Sunshine" grossed 436 million yuan (US$70.23 million) and 285 million yuan (US$45.91 million), respectively, despite poor reviews. 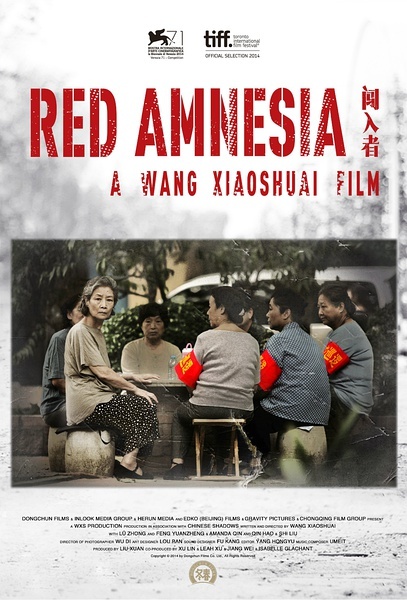 But the critically-acclaimed movie "Red Amnesia" by Wang Xiaoshuai has only brought in 7.2 million yuan (US$1.15 million) in total ticket sales since its release on April 30. The disappointing box office results led a frustrated Wang to write a statement begging for more screenings for his film. "I believe I have made a great film, and China's film market should accommodate different genres, but the severity of the reality and the tiny number of screenings have gone beyond anything I imagined." According to film industry researcher Entgroup, "Red Amnesia" only appeared on 1.32 percent of the country's 27,000-plus movie screens on its opening day, earning some 800,000 yuan (US$129,256) at the box office. "I know many moviegoers still hope to see different films. My audience, please support me!" said Wang in the statement. The director thought "Red Amnesia" didn't get fair treatment, claiming, "It didn't have the chance to meet audiences who will love the film. Instead, it was sentenced to death. I was shocked, frustrated, and in despair. April 30 was the darkest day of my career, and all our efforts encountered such a cold reality. I feel so helpless and doubt if I will ever do films again in the future." Despite support from fellow directors and actors, one Chinese director’s appeal for more screenings for Chinese art house films seems to have done little to change the harsh reality of imbalance in China's booming film market.